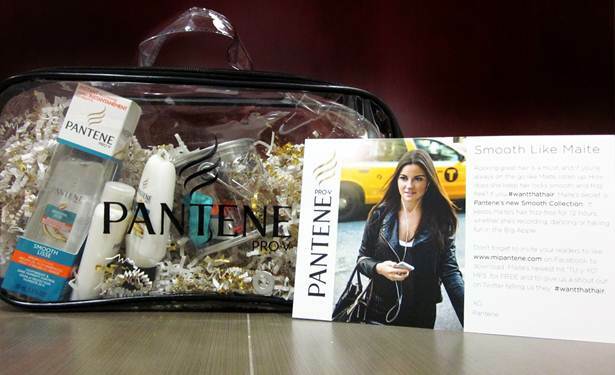 Pantene Smooth Collection #WantThatHair Giveaway! SpoiledOnes, have you tried the Pantene Smooth Collection? No? Well today is your lucky day! Our #SpoiledOnes are being offered the chance to win a prize pack from Pantene featuring the all-new Smooth Serum with Moroccan Argan Oil! The awesome thing about this new formula is the Moroccan Argan Oil, it will literally fight frizz for you for hours and leaves your hair super soft! Enter here until the 11th! #Pantene is also giving you a free music download at www.mipantene.com! The song is Maite Perroni's new single "Tu y Yo"